The battle between Adobe’s Flash tech and Apple‘s push for clever HTML5 code continues: Adobe’s touting next-gen 3-D capabilities, and Apple’s heading toward sophisticated multitouch Web apps through SproutCore coding. Who’ll win? 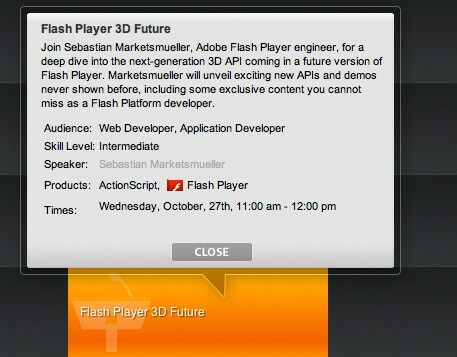 But does Flash, a proprietary code system remember, have a big future in Web coding? In the Apple-versus-Adobe imbroglio, a significant chunk of the “blame” should be laid on Adobe for its complacency in not delivering a powerful, power-friendly installation of Flash suitable for the smartphone in time … as well as for its glacial upgrades to Flash for Macs. Moreover, online video is rapidly moving to non-Flash HTML5 alternatives, and multitouch UIs are proliferating–with in-built unfriendliness to some of Flash’s core working methods. And Apple is keen to develop HTML5’s powers still further. SproutCore, which is behind the rich web-app code Apple’s using for its MobileMe system, has moved ahead independently of Apple, but with their support. As they note at AppleInsider, SproutCore is inherently multitouch friendly, and if it can make its way onto other tablet platforms apart from the iPad. It’ll definitely advance the cause of clever Web-app programming. Indeed, one powerful use for SproutCore is to produce “rich” e-book or e-magazine offerings, in a directly rivalry to Adobe.